Here 3 cylinders intersect following the corners of an octahedra. All not flat corners are identical and measure 1/4. 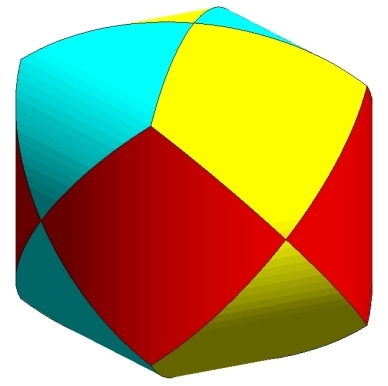 This corners are not different from the corners with three edges in the rhombodoecahedra which can be deformed to our cylinder intersection by pushing the corners with four edges inwards.